exceptional city and desert vistas stretch for miles in every direction. 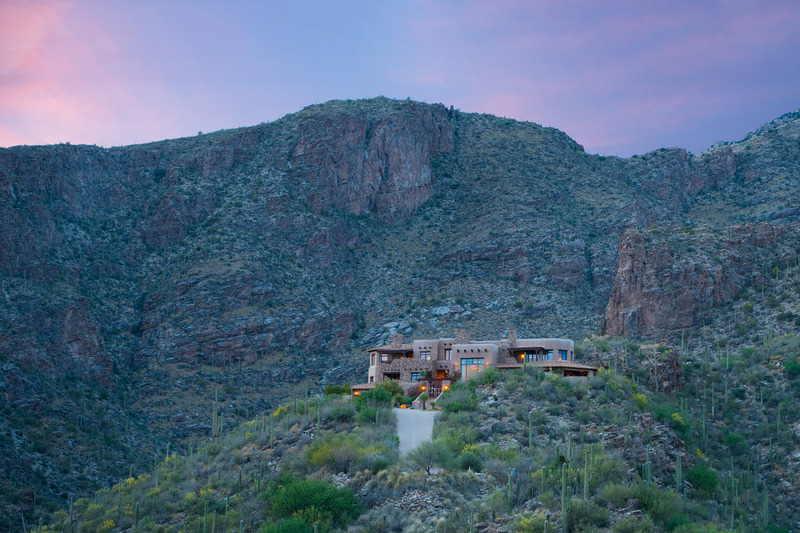 the Catalina Foothills that create one superbly blended, 133 acre property. Gentle mountain slopes, cactus-laden rock walls, and exceptional city and desert vistas stretch for miles in every direction. 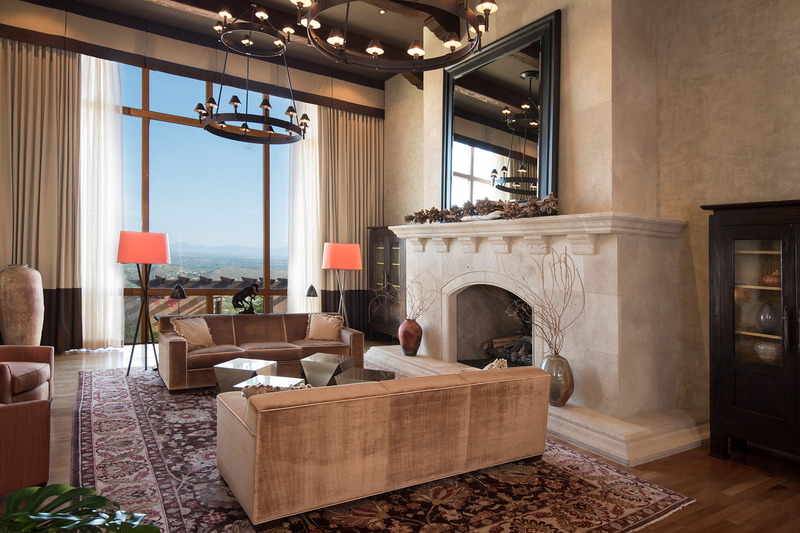 The private, luxurious, custom-built home in exclusive Rattlesnake Canyon Estates is an extraordinary property that is unlike any other. 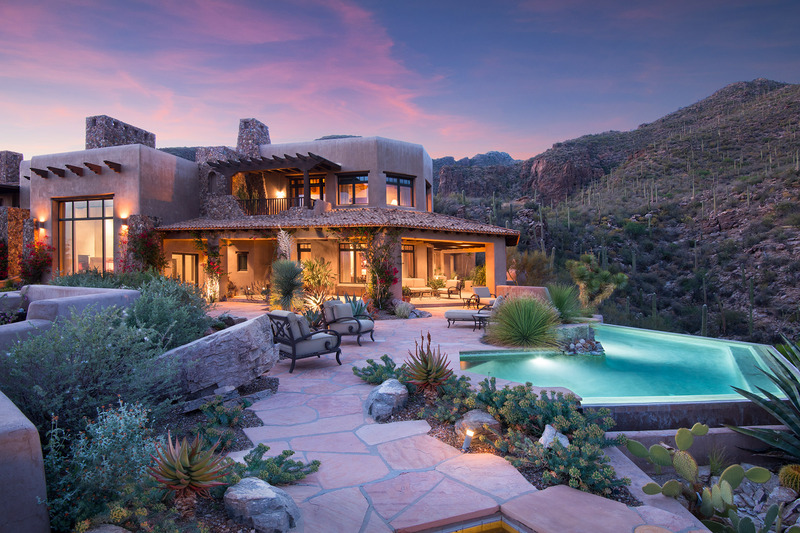 Impeccably designed by renowned Tucson architect Ron Robinette to synthesize international influences with the natural beauty of Tucson’s surroundings, Villa Esperero is a work of art. The estate is comprised of 3 separate, immense lots in the Catalina Foothills that create one superbly blended, 133 acre property. Perched between two magnificent larger canyons, Ventana to the west and Sabino to the east, Villa Esperero is intimately surrounded by the smaller Esperero and Rattlesnake canyons, green jewels in the desert that deliver spectacular views of desert blooms amidst seasonal springs and natural pools. © Villa Esperero 2017. All Rights Reserved.